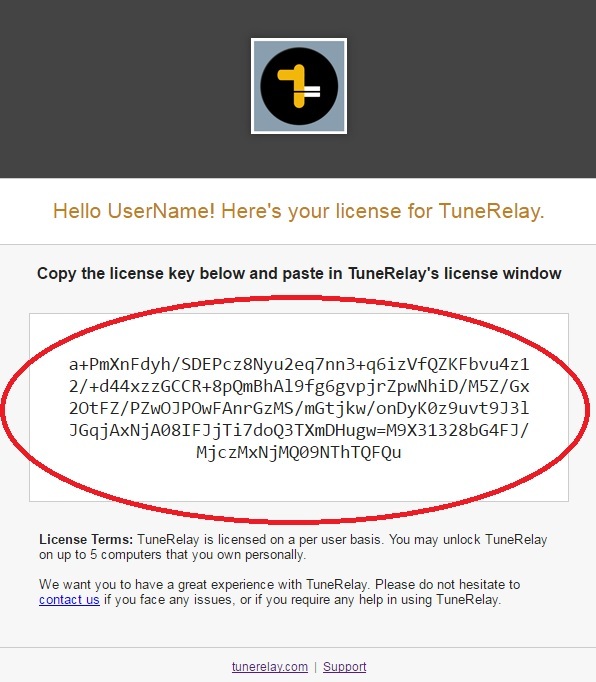 Copy the key (highlighted in the image above) from the license email. Open TuneRelay preferences. 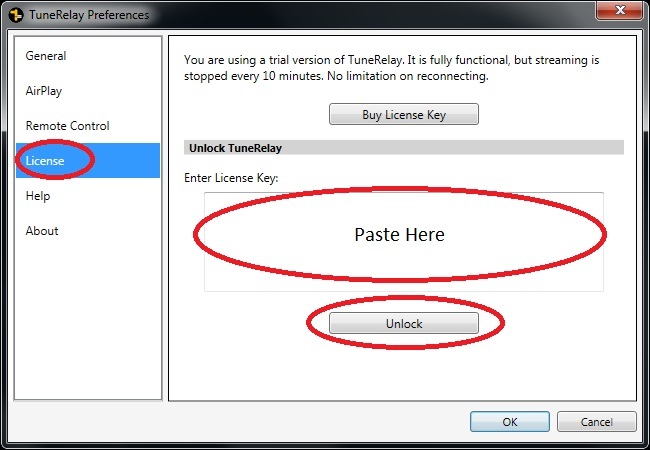 This can be done by clicking the settings icon on TuneBlade’s user interface. The settings icon is located on the top right corner, next to the exit icon. 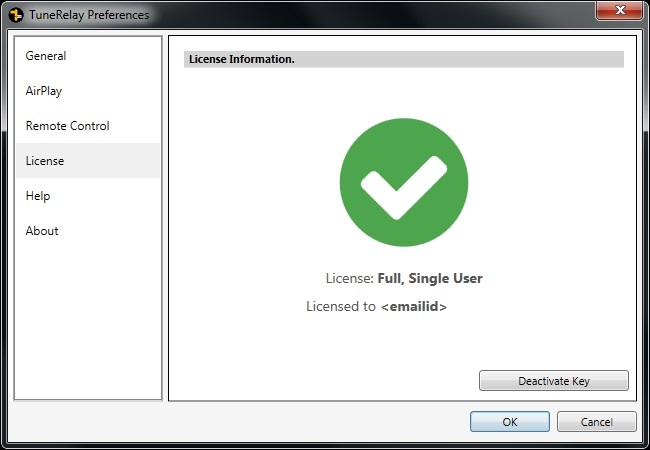 Go to the License tab in preferences window, and paste the key in the text box with label "Enter License Key".